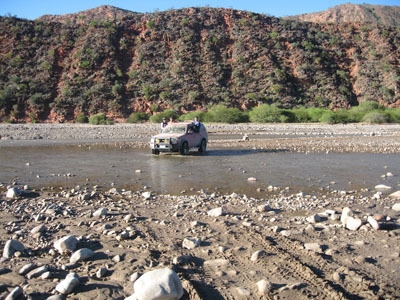 The Torotoro National Park is one of the most beautiful National Parks in Bolivia. 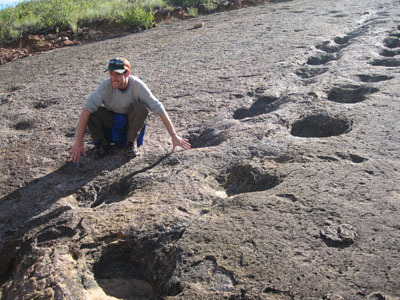 Is an area apt for paleontologic, archeological and cultural studies and investigations because of its richness in fossils, dinosaur tracks and bones. 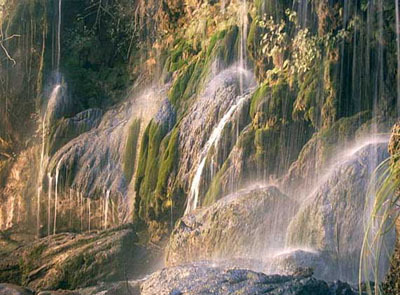 Visit spectacular places like the Grand Canyon and the Vergel, Dinosaurs tracks, Umajalanta Cave, Natural stone bridges, Cave paintings, and Museum of stone “Pachamama Huasi”. We leave Cochabamba for Torotoro. 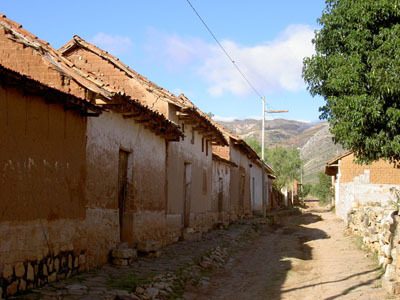 On the way we have the posibility to stop at the colonial village of Tarata, or see the ceramic craftwork of Huayculi. 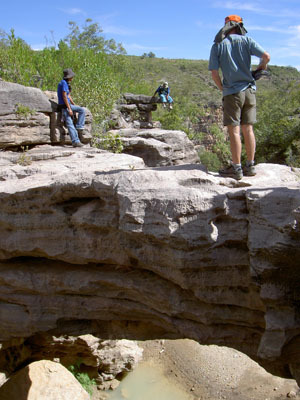 We will pass the Caine River as well as the Mizque mountain range. 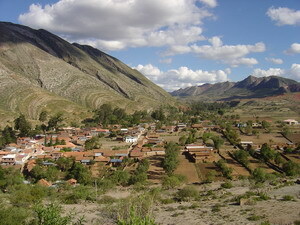 After arriving in Torotoro we will have lunch before we will visit the Umajalanta cave, Bolivias biggest cave, where we will find stalactits and stalagmites. 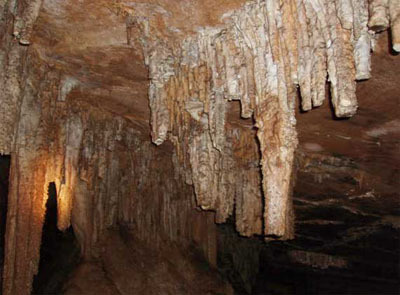 On our way back from the cave we have a look at the stone museum “Pachamama Huasi”. After breakfast we will have a little walk to see different typs of dinosaurs tracks. 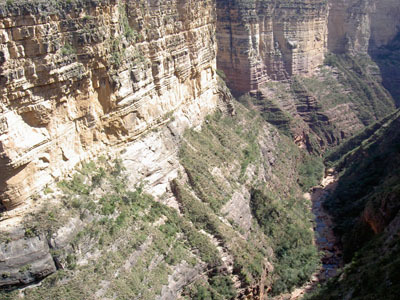 Later on our way to the Grand Canyon of Torotoro we will pass a natural stone bridges, and having a rest at a spectacular viewing point before descending to El Vergel. 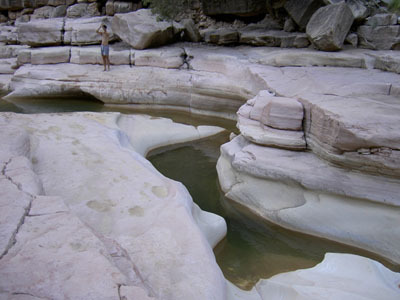 This incredible ecosystem of El Vergel is located at the bottom of the canyon where we will enjoy its crystal clear waters, and our lunch in this natural environment. On our way back we pass the Chiflon Kaka viewing point and the cave paintings. 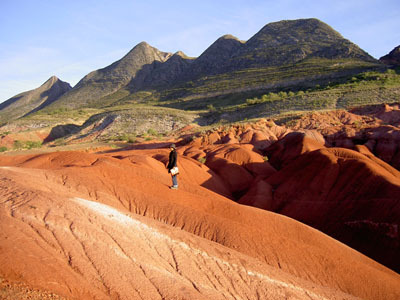 In the morning we will visit the turtle cemetry and we will walk through an area that is full of marine fossils. After lunch we will return to Cochabamba.